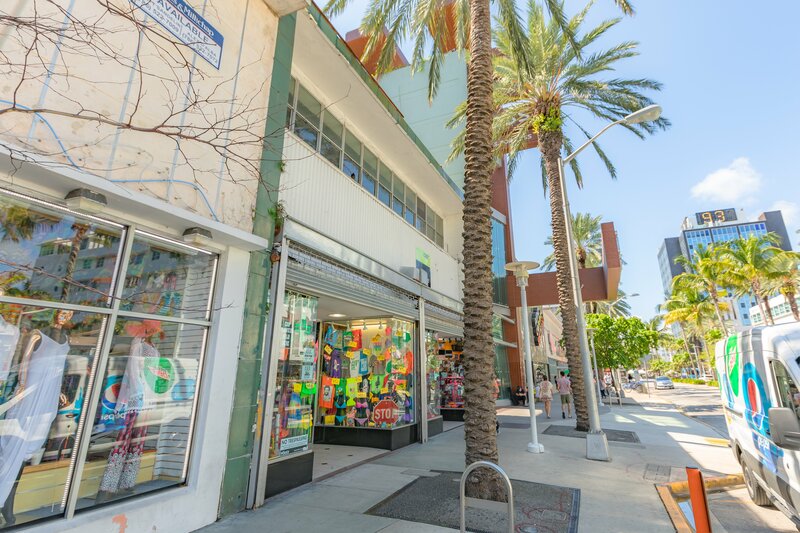 Marcus & Millichap is proud to exclusively market for sale 222 Lincoln Road, a vacant retail property located on World Famous Lincoln Road in the heart of Miami Beach. The building sits just east of a newly renovated retail building that anchors Ross Dress For Less between Collins Avenue and Washington Avenue. 222 Lincoln Road is an 8,000 square foot two story retail building that has two 2,000 square foot ground floor bays and a second-floor office/retail space. The property sits on 4,975 square feet of CD-3 zoned commercial land. Currently, the building is being delivered 100 percent vacant allowing an investor the opportunity to stabilize the property by re-renting the three vacant spaces at market rents. The Building has had a long history of occupancy and has recently become vacant for the first time in a long period of time. Currently there is a month to month electronics store tenant that may be willing to stay on a short-term lease, please inquire with the listing agent for more details. 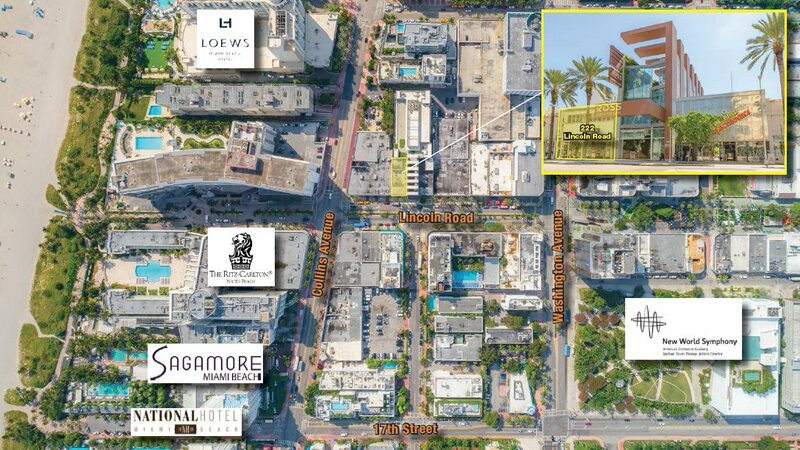 The property is priced on its own at $7,950,000, or $996/ SF which is historically very low for a Lincoln Road retail property sale. Based on our pro-forma projections an investor can stabilize the building be releasing the vacant bays to achieve almost a 7 percent cash return on investment. In addition, the same owner owns 298 Lincoln Road which is an 8,000 square foot 2-story property located just west of the 222 Lincoln Building. 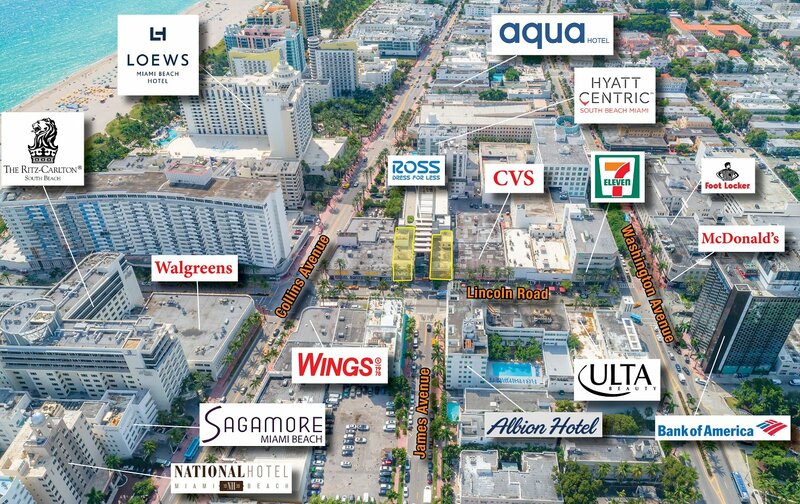 298 Lincoln Road sits on 4,000 square feet of CD-3 zoned commercial land. The owner would consider a portfolio sale of both properties, but will not sell 298 Lincoln on its own. Please inquire with listing agent as to portfolio pricing expectations. 298 Lincoln Road has been subject to a long-term ground lease since 1946 whereby the seller is only conveying the land underneath the building and has no landlord responsibilities. The land lessee owns the entire building and pays for all of the expenses relating to the operation of the building and pays a one-time rental payment of $440,000 to the owner on June 1st of every year. Currently, 298 Lincoln is entirely occupied by an electronics store that has operated in the location for over 15 years. The lease provides for a re-assessment of the land value every 10 years which is then multiplied by eight percent to calculate the new ground rent due to the owner. The next re-assessment is in June 2025, and the lease expiration is May 31st, 2044. 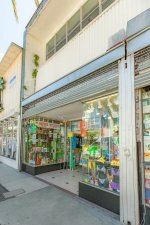 298 Lincoln Road is an ideal zero-management asset that allows an investor the opportunity to collect annual cash flow with no landlord responsibilities. Both Buildings are ideally located on the South side of Lincoln Road with neighboring national tenants CVS Pharmacy and Ross Dress for Less along with multiple local and regional retailers that service the massive amount of foot traffic that stems from the constant hospitality tourism coming to South Beach every year. 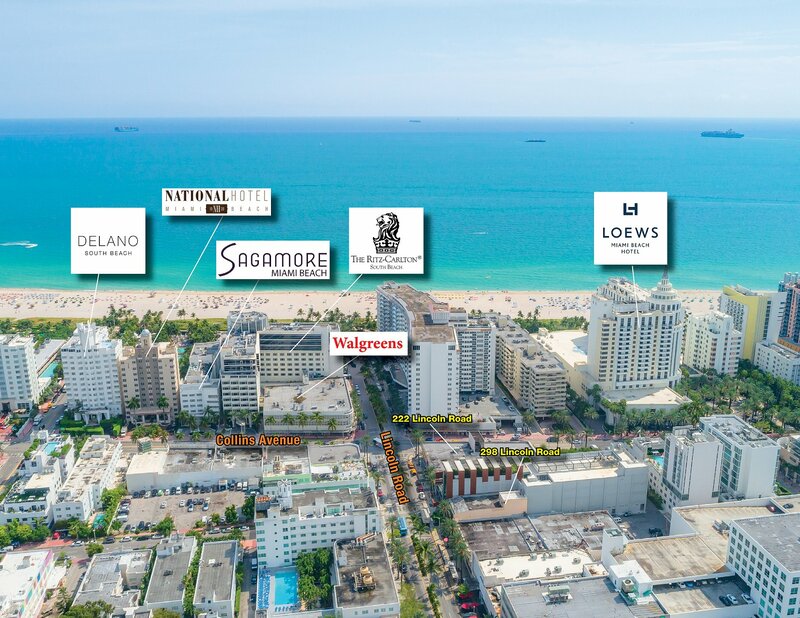 As multiple new hotels are slated to be constructed in the near future, along with the completion of the fantastic newly renovated Miami Beach Convention Center, foot traffic is expected to increase even more over the coming years in this immediate location.